Home » What is the Cheapest Way to Buy Silver? Globally, silver is sold as per its spot prices. So, can you buy it any cheaper? Well, the only way to do that is to buy junk silver coins. These coins are often sold below their spot price, and so can be considered as one of the cheapest silver buys on the market. Although the percentage of silver in these coins often vary, investors do buy these as a form of speculation. It’s just like buying junk bonds. In this case, speculators get more silver for their money. What are junk silver coins? Junk silver coins are world coins with absolutely no numismatic value. Therefore, the only value it could possibly have is the value of the amount of silver it contains. The most popular coins within this category are American silver coins that were minted prior to 1965. The US government minted several coins during this period using alloys that contained silver. However, the purity of silver in these coins varied from 35 to 90 percent. So, these coins command a market value based on what is known as their ‘melt value’. Many of these coins are very attractive to investors as they present a way for them to buy silver at low prices. Bullion coins such as the American Silver Eagle command a ten to fifteen percent premium over the spot price. However, junk silver coins can be bought at only 1-3 percent over the spot. So, this means it’s important to identify specific junk silver coins that have no value to numismatists and also trade at low prices – just over the spot or sometimes even below. If you’re going to spend your money buying junk silver coins, you’d better get a decent amount of silver from it. What you don’t want to do is spend your money buying large amounts of base metals, which are worthless. So, the rule of thumb is to avoid coins that have 35 or 40 percent silver only. Many of these are around, so it’s important to do your research well. There are US half dollars with the head of JFK and there are wartime nickels that are simply called Jefferson war nickels. These have no value. are sold in assorted bags with little or no premium over the spot price. Typically these contain silver coins with varying levels of purity and can be found at different prices ranging from 100 to 1000 dollars. This is literally the cheapest way to buy silver. You can find 90% silver coins in these bags as well. However, investing in these bags requires a large amount of investment, as one cannot strike lucky by buying just one bag. Only after buying several bags can one extricate enough silver to justify the investment. Additionally, as a speculator, you would need to go through the bags and segregate the coins to identify the ones with the highest amount of silver. So, it may not be the smartest and the best way to buy silver, in spite of the prices. 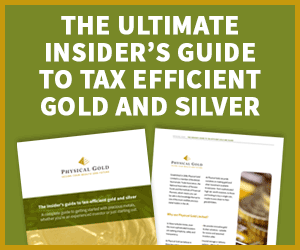 At Physical Gold, our precious metals experts can guide you in buying silver online. You don’t have to sift through bags of junk silver coins to strike lucky. Just call our team of experts on 020 7060 9992 or get in touch online and they would be happy to discuss the best way to buy silver at the cheapest online prices, so you can meet your investment goals. This entry was posted in Blog and tagged Silver Coins.